There’s a cowboy or cowgirl in just about everyone. If the call of the American West has you thinking about dusting off that cowboy hat, pulling on the boots and saddling up, a dude ranch experience just might be the trip for you. Be aware, though, that while it’s still possible to visit a working ranch and participate in cattle drives, modern dude ranches include luxury resorts and honeymoon suite lodging. If you’re looking to create a true “Old West” experience, these dos and don’ts can help do just that. Are you looking for a working ranch? Would you like to help out with ranch chores or take off on a week-long cattle drive? How much do you want to work? Since today’s dude and guest ranches can offer everything from spas and shopping to camping out and calf-roping, do some research to make sure you find exactly what you want. 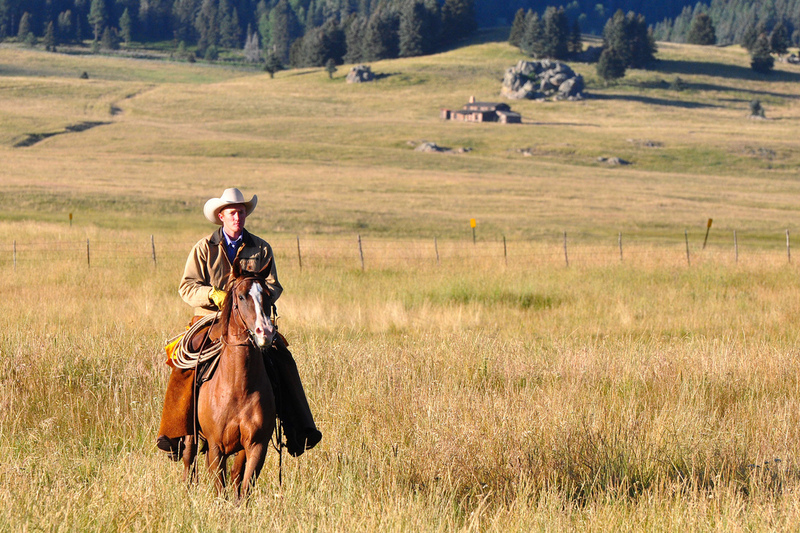 Dude and guest ranch associations exist at the national level (Dude Ranchers Association), state level (such as the Colorado Dude and Guest Ranch Association) and regional level (such as the Dude and Guest Ranches of Grand County). They can help narrow down choices, and assure you that you are looking at ranches that meet standards for safety, cleanliness, and authenticity. Before you go, ask about specific activities on the ranch. While all ranches offer horseback riding, each one differs when it comes to guest participation in ranch activities. Determine whether you can take part in cattle drives, branding sessions, tending horses, ranch upkeep, or others. Be aware that on a working ranch, some level of horseback riding experience is typically suggested, as guests work side-by-side with wranglers. Dude and guest ranches are generally all-inclusive so guests can choose as many or as few activities as they like each day at no additional cost. Typical activities include swimming, whitewater rafting, horseback riding (and instruction for all skill levels), mountain biking, hiking, cattle work, fly fishing, western dancing, archery, riflery, cowboy skills, jeep trips, pack trips, and even zip lines. This is your chance to explore and try something new. Getting out of the car—literally—and out of the habit of driving everywhere is one reason dude ranch vacations are popular. Once you arrive, the only travel is by horse, bike, or foot. Many people like to ramp up their activity and fitness level before arriving at the ranch so they can comfortably experience more activities. Regardless, though, if you’re seeking a true old west experience, plan on being outside, getting plenty of exercise, enjoying a healthy appetite, and sleeping well! Do get in the spirit! This really is the time to relax and recreate in the spirit of the Old West. Sit on the porch of your cabin, read a book, and watch the river. Wear the cowboy hat. Enjoy staff talent shows or other entertainment. It definitely won’t be like home so enjoy the break. If you’re looking to embark on authentic Old West trip in mid-summer, check out ranches in Colorado, Montana, Wyoming and other northern states. You may find some great rates during late spring/early summer, and early fall. If you’re looking to travel in fall or winter, think about places such as Arizona or Texas. Even visitors looking to fully immerse themselves into the Old West may need a little “break-in” time. Understand the horse riding program of the ranch before you go. Most ranches offer instruction-based horseback riding programs where you learn skills gradually before setting out to the backcountry on morning and afternoon trail rides. Daily instruction, both in an arena and on the trail, improve proficiency. Riders work up to loping and all-day rides. Don’t expect all the technology you may have at home. After all, it is a dude ranch, and at many ranches, cell phone and computer use are discouraged. Depending on location, cell and Internet coverage may be spotty or unavailable, especially in the lodging areas. And you’ll likely not find much in the way of televisions. Pack casual wear that is appropriate for the ranch you’ll be visiting. Remember that mountain locations can get very chilly at night, even in mid-summer. If you are planning on riding a great deal, bring a pair of cowboy boots (and break them at home). Hiking boots or other rugged footwear is very helpful. Plan ahead for sore muscles with some over-the-counter pain medication and/or muscle pain-relieving cream. When you are active and outside for long periods of time, it’s easy to become dehydrated and not realize it. Add in altitude (many ranches in the west are in the mountains), and the situation intensifies. Fill your bottle with water on your way to the ranch—in the car, train, bus or plane—and keep drinking throughout your trip. Plenty of water also helps to prevent headaches often associated with visits to higher altitudes.